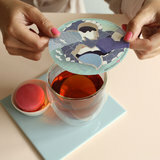 Cosy Couples Giftbox 10 resuable steam waverz. Two dessins in a variation of colors. Cosy couples is a giftbox with two fine illustrated dessins with a romantic touch. What's live without a litlle romance? 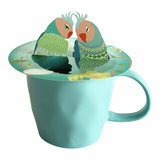 Bird Illustration 1: Two parrots meet above your teacup. Lovely! 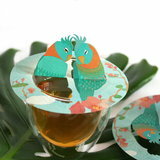 Tea illustration 2: A sweet kissing couple dessin inspired on the Dutch Delfts Blue icon. 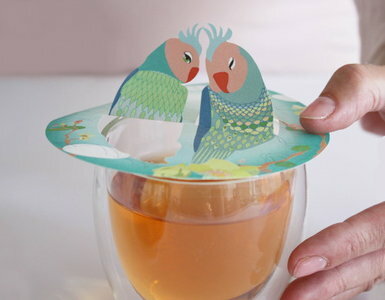 Let their lovestory unfold over a nice cup of tea! 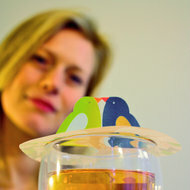 This Cosy Couples giftbox contains 10 reusable Steam Waverz. Two dessins in various colours.